Much has changed in the years since Crackdown 3 was first unveiled. Crackdown series creator Dave Jones was revealed to be the creative director on Crackdown 3 when the game was first announced in 2014. Tech company Cloudgine, and developer Reagent Games – which were both founded by Jones – lead development on the game at one point. In fact, Cloudgine’s cloud tech was said to be responsible for the impressive in-game destruction, processing of which was all handled server-side. Things have changed dramatically since 2014, however. For one, Cloudgine is now part of Epic Games, after the company acquired it in January. Jones is also no longer with Reagent Games, and now works as Epic’s cloud and esport strategist. Right now, Sumo Digital is the main developer of Crackdown 3, a detail Microsoft Studios head Matt Booty confirmed to Polygon at E3. This cast doubts on the existence of the game’s impressive destruction tech in today’s game, which was later confirmed to only be available in multiplayer. For his part, Booty reiterated that the mode is still part of the package, and promised to share more later this year. In the same interview, the Microsoft Studios head wouldn’t say if Cloudgine’s tech, which Microsoft made a big deal of at the time, is still powering the physics-based destruction in multiplayer. He did, however, confirm that neither Dave Jones nor Reagent Games are currently working on Crackdown 3. The 2015 gamescom demo in the link above is the only public showing of the game’s multiplayer mode. But this was also a time when Microsoft was very much banging the “power of the cloud” drum. It’s not clear if the processing power necessary for the game’s destruction is still handled in the cloud, or if that part of the game has been retooled to make use of console hardware. We’re hoping Microsoft will show more before the game’s launch next year. 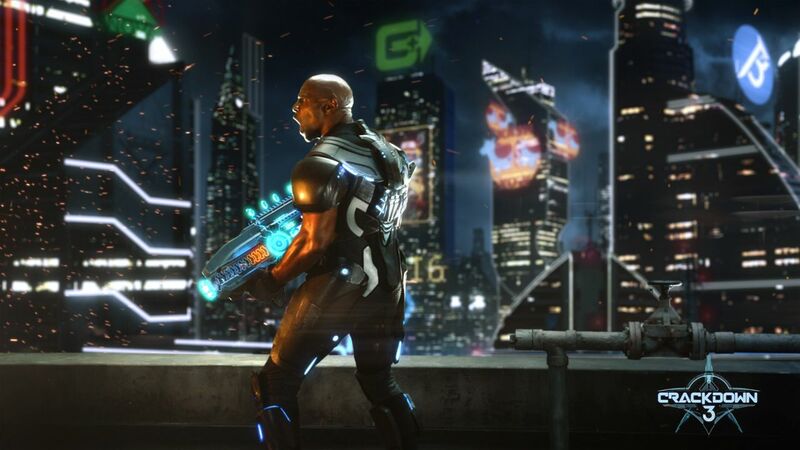 Crackdown 3 is due out in February on PC, and Xbox One.